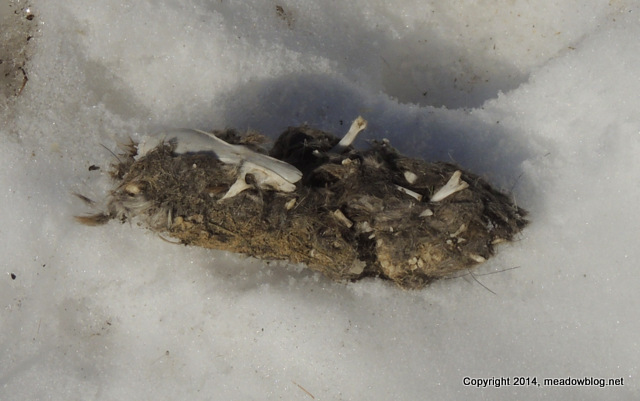 Ever wonder what a Snowy Owl pellet looks like? If anyone recognizes what this pellet once was, let us know. 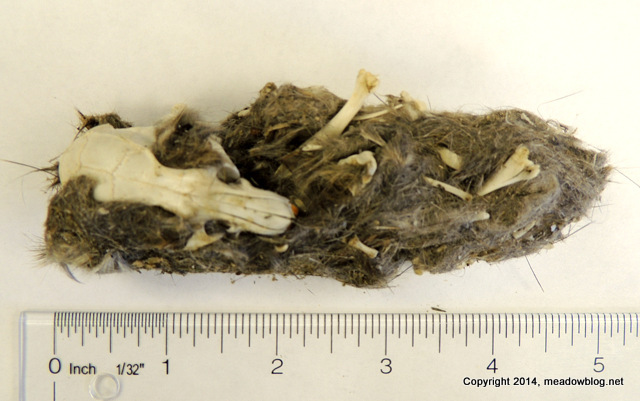 Below, another photo to give you an idea of just how large this pellet is. He also posted the story on his blog, The Wind That Blows. To see what we might expect in February, we thought we’d look back to some highlights from Februray 2013. Just click on the text to link to the post. 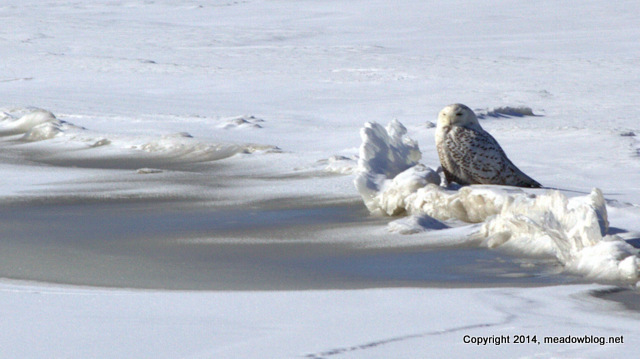 As of 3:40 p.m, the Snowy Owl was on the ice on the Saw Mill Creek Mudflats. It’s pretty far out — you can start looking by checking to the left of the four smoke stacks as you walk out the Transco Trail. Jill Homcy photographed this neck-banded Canada Goose at Laurel Hill County Park yesterday. Notice anything else unusual about it? 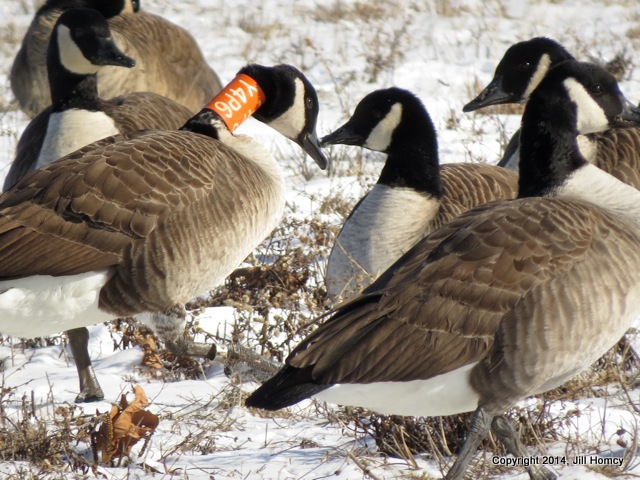 “I submitted the report on the neck-banded goose last night. Didn’t realize until I got home the bird also has a silver leg band. 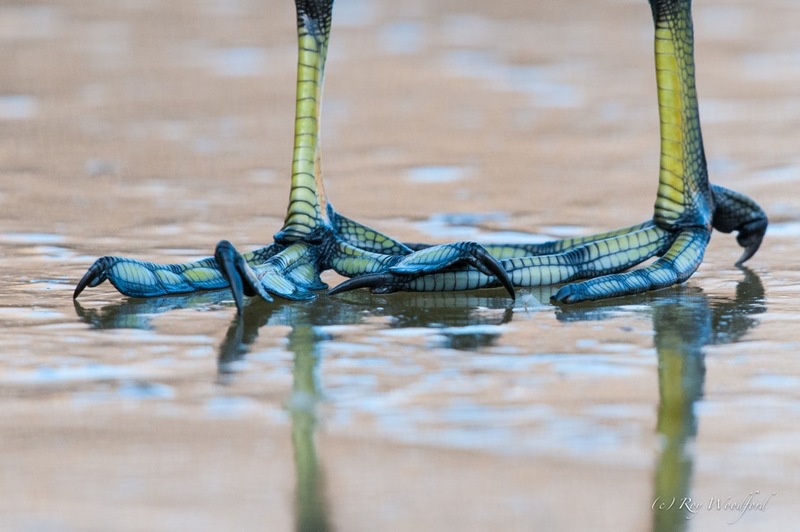 “Unfortunately I had no pics that show if there is a code on that band. Here is the pic showing both the neck collar and the leg band. 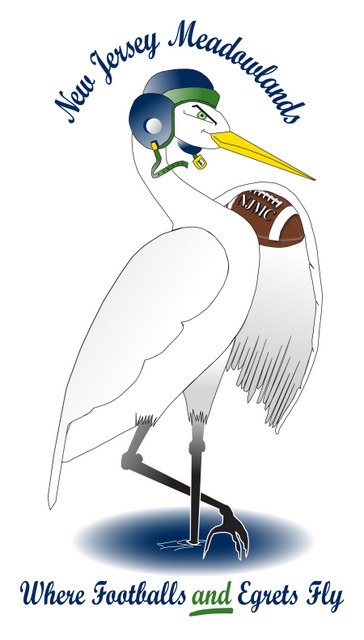 For more on neck-banded (a.k.a. neck-collared) Canada Geese, click here. 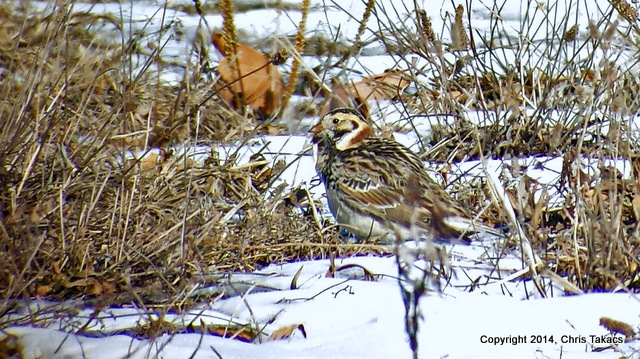 Got a photo finally of Lapland Longspur (above) in the field just to the north of the boat launch at Laurel Hill Park. 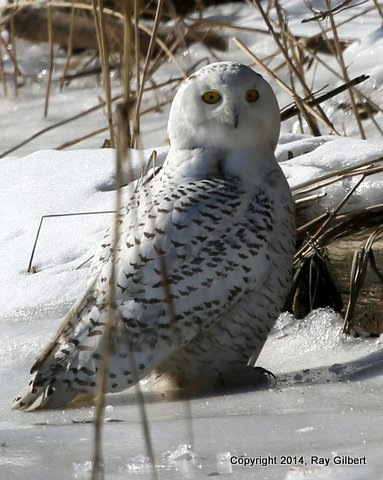 A Snowy Owl is out on the ice once again at DeKorte Park today, about halfway out the Transco Trail on the Saw Mill Creek Tidal Impoundment. Park in the parking lot by the solar car canopy (second building on left). Be aware that at present the owl is distant. It may become more active later. Please keep a respectful distance and, if the owl appears agitated, retreat. Do not even think of going on the ice — way too dangerous. Thanks. 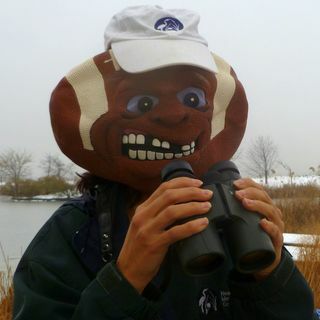 Our next walk is a doozy — our fifth annual Super Bird Sunday walk at 10 a.m. on Sunday, Feb. 2, the same day as that big game at MetLife Stadium. 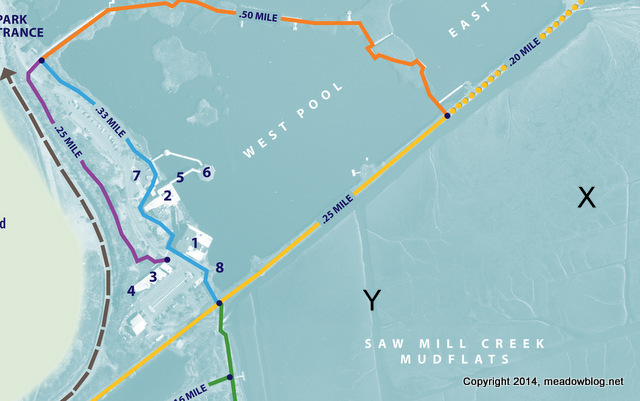 This time we are holding the walk at Losen Slote Creek Park in an effort to stay as far away from the Meadowlands Sports Complex as possible. 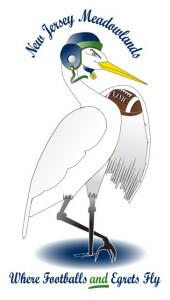 The person who is the first tp spot an Eagle, Raven, Cardinal, Falcon, etc., will receive a T-shirt of their choice and a limited edition print of Tom Yezerski’s Osprey (Seahawk) print. Speaking of the recent Snowy Owl appearances at DeKorte Park … NJMC Naturalist Mike Newhouse told us about a cool website devoted to this winter’s Snowy Owl irruption. It’s called Project Snowstorm, and the link is here. Of note is a section on tracking Snowy Owls — they move around more than you may have thought, Link is here. The Cornell Lab website has a nice section on Snowy Owls as well. The link is here. 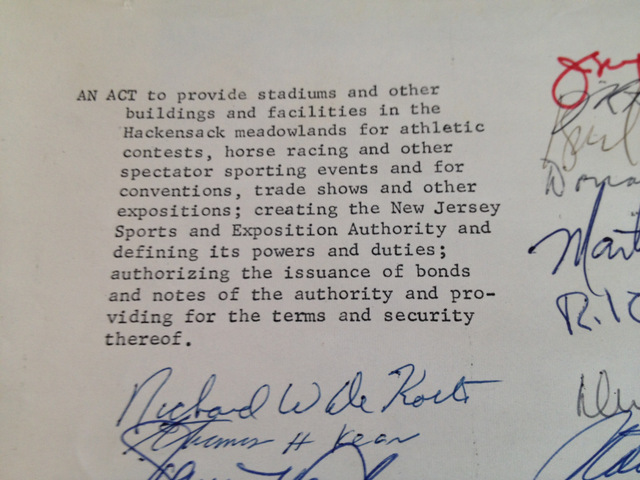 We thought we’d kick off the posts with this act of legislation authorizing the creation of the New Jersey Sports and Entertainment Authority and ultimately the Meadowlands Complex, which apparently is home to some big game this weekend. The first signature on the document is that of Richard W. DeKorte, for whom DeKorte Park is named. The second is Thomas H. Kean, who went on to become governor. We will have a blog post about Richard DeKorte in March.